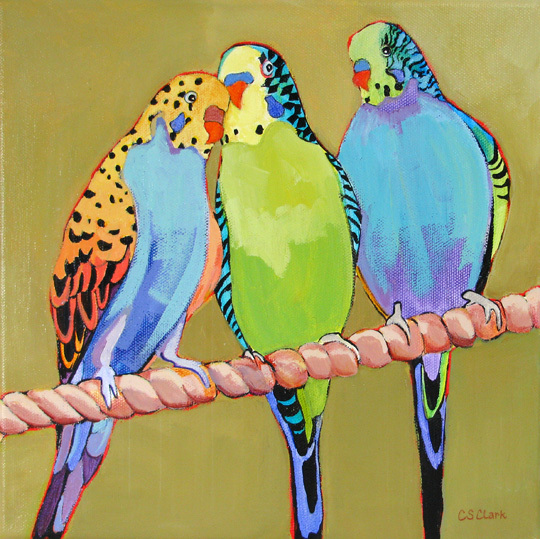 I love this painting project because it introduces basic colour theory and you can add a range of different challenges each lesson. 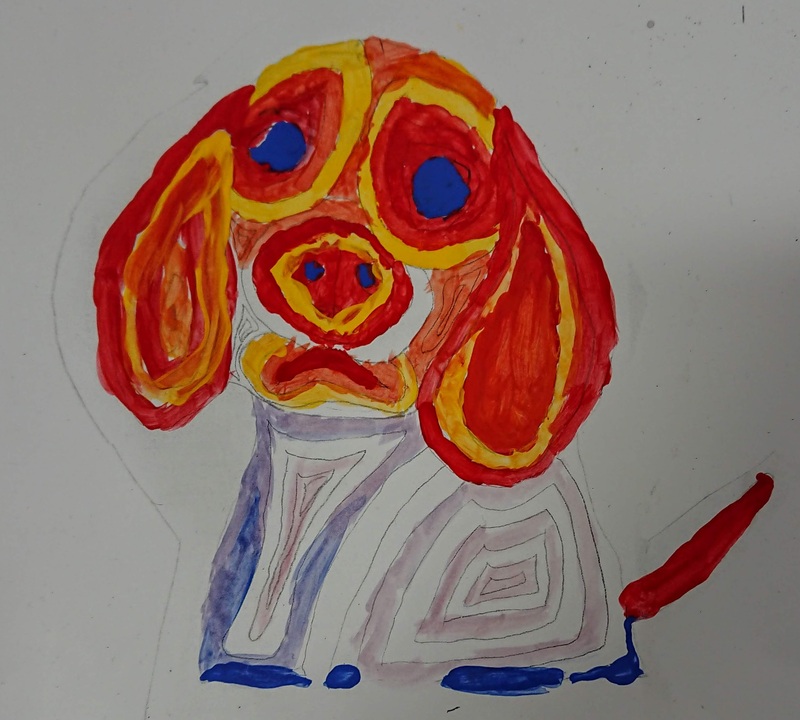 By the end of the project students are able to identify and mix paints to correctly have secondary and tertiary colours, and use their knowledge to create unique and vibrant final painted outcomes. 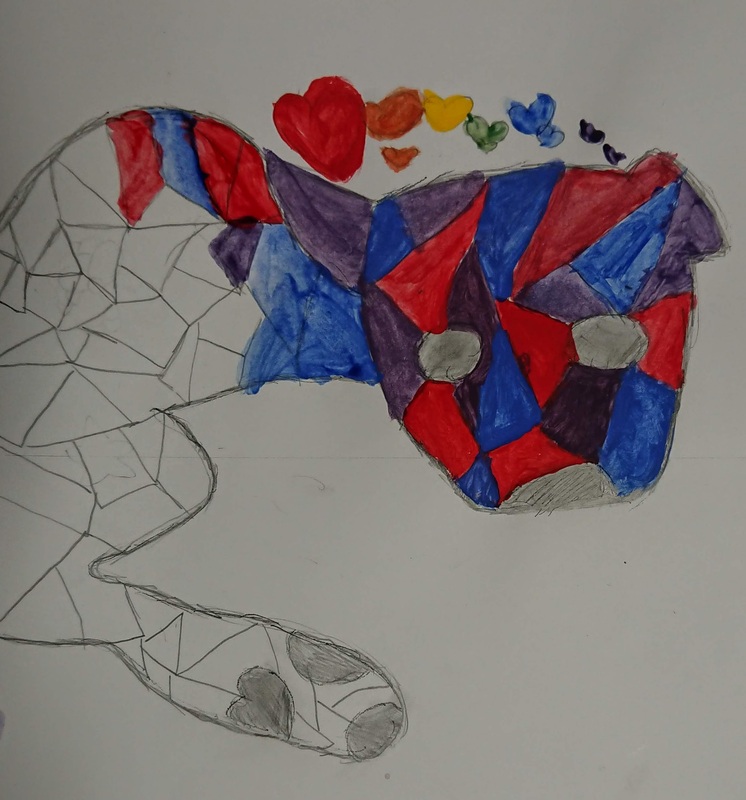 This art project is for Key Stage 3, but in school we teach it in line the the GCSE Art Assessment Objectives: students research an artist (Carolee Clark), they experiment painting with colour and drawing, they research their own ideas (using their own photographs), they design and then make their final piece. Students should identify the use of colours and patterns, noticing how the cooler colours are used for shadows and warmer colours are highlights. We have students create their own research pages about the artist but they could work in teams/tables to complete analysis sheets or homework etc. This is followed by going through some basic colour schemes such as warm and cool, harmonious and contrasting colours. 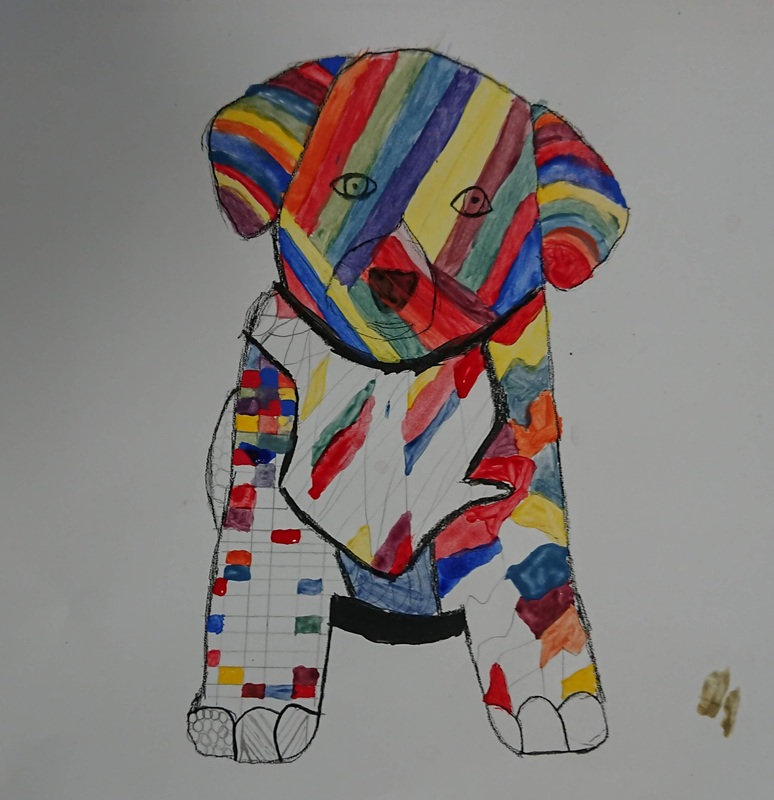 Students are given a homework to bring in a photograph of their own that they would like to work with; this is really good for engagement as most students choose a picture of their pet or an animal they love! You can differentiate this by giving students pictures to work from if their own aren’t great or clear enough to use. 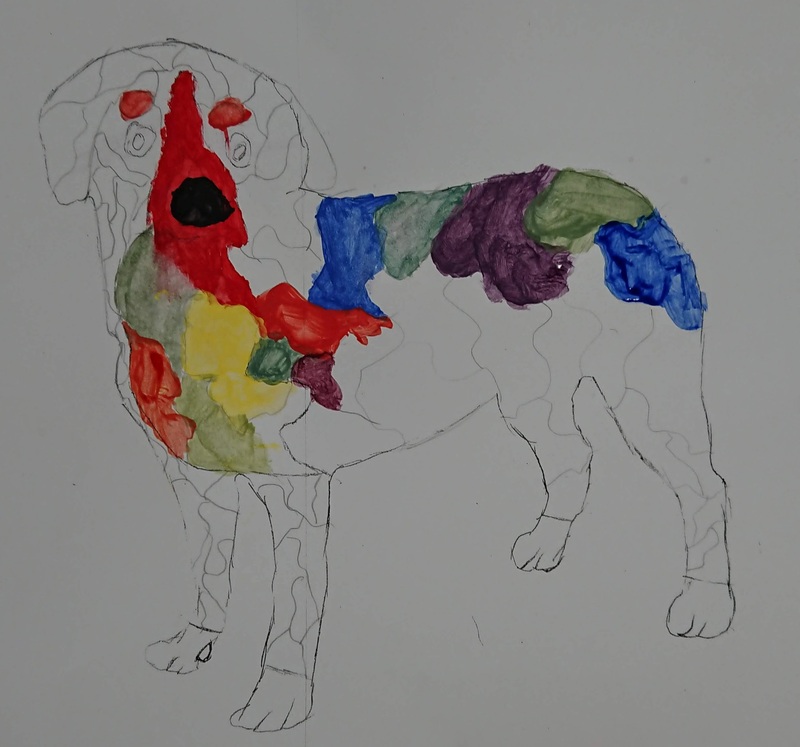 You can set a challenge for more able students to draw out their animal without tracing, but since this wasn’t a drawing project I wanted to get students into painting as soon as possible. 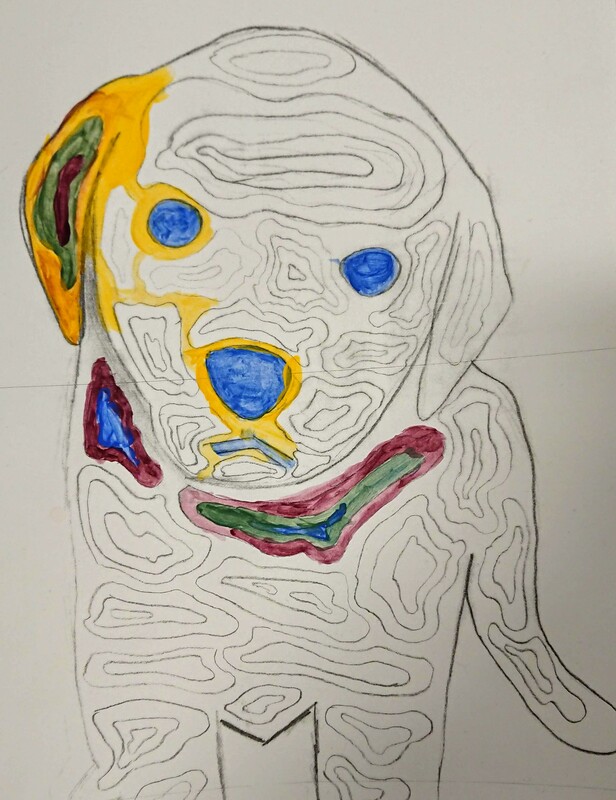 I then introduced the concept of contour lines, demonstrating and explaining to students that they should add lines and shapes to fill any big white spaces on their animal. 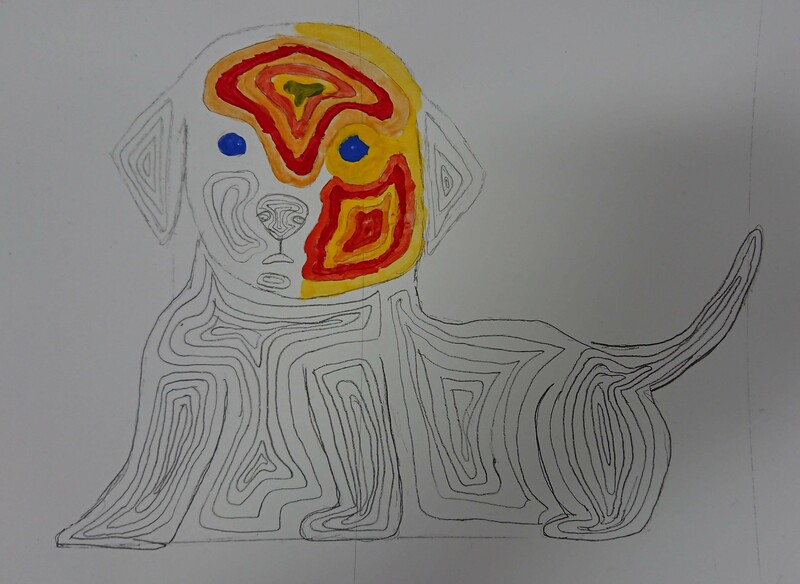 Once all the animals are drawn / traced out and students have added contour lines and shapes to fill their drawing, they can start to paint. I had to photocopy all of their drawings onto thicker paper which is a bit time-consuming but worth it to maintain the quality of their work. We used A4 size for the artworks, so the challenge in the practical lessons was to paint accurately. Each lesson I would demonstrate how to paint into the small shapes as accurately as possible, using smaller brushes really helps; in school we use these man-made fine round brushes which are not bad, however I found that the aluminium ferrules come loose quite easily. If you’ve got the budget (!) something like Windsor and Newton round sable brushes are much better quality. Students worked on their paintings each lesson, learning and practicing how to mix secondary and tertiary colours. To add more challenge to the painting, we had a rule that students shouldn’t paint the same colour next to each other. Any mistakes were used to set targets through self-assessment, peer-assessments etc. so students could work to make improvements each lesson. 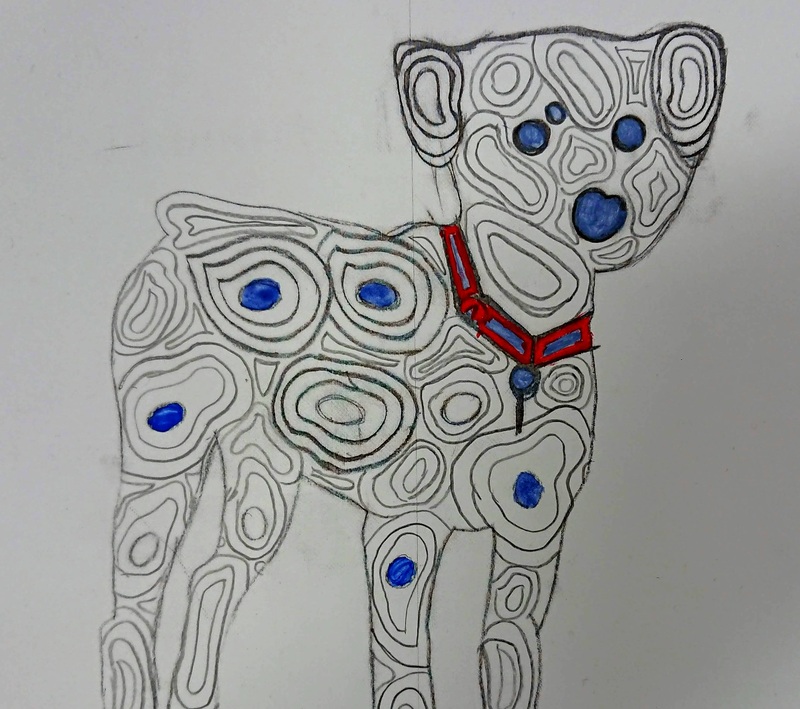 The last few steps of the project were to add patterns, then outline the main features of their animals. Again, this step could be differentiated to increase the challenge by asking students to only work with contrasting colours when adding patterns. I had a lot of students asking if they could take their work home to complete, so I think that’s a good sign that they enjoyed the project! They worked really hard on them and have created some outstanding work! I have this scheme of work available to share, so if you would like it please leave a comment or drop me an email and I can give you access to the PowerPoint. What do you think of the work? Let me know!